WHAT: On this Unity Day USA, we, the people of the United States of America of every faith, race, ethnicity, culture and background will gather to express our commitment to co-existence, Unity, safety, prosperity and well being of our nation by coming together. WHO: Mayors, Fire and Police and Education Chiefs, Civic Leaders, public servants, you and your friends. YOUR ROLE: Is to attend the event as well as invite your friends to join us at the event by confirming to Confirmattendance@gmail.com . Your presence is an expression of unity with our elected officials, Mayors, fire and police chiefs, civic and business leaders, along with leaders representing every faith and native traditions with the public. It’s a symbolic Unity. 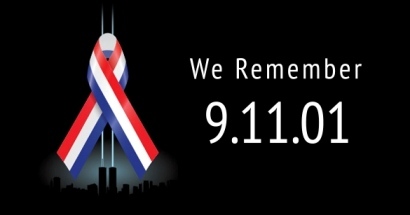 HONORING: It is our duty to honor and cherish individuals who have dismantled the barriers between them and others. We appreciate and recognize their commitment to build a cohesive and pluralistic America, where no one has to live in apprehension, discomfort or fear of the other. YOUR ORGANIZATION: If you wish to be listed as a participating organization in the event, please share the Name of your organization and the web address. At the peak we have had 90 Organizations participate and we hope to cooperate with 100 organizations this time. “This is an annual event for Americans to come together and look to each other as American and nothing but American. We will rededicate our pledge to the safety and security of our nation”. As Americans we uphold, protect, defend and celebrate the values enshrined in our constitution. All our faiths reinforce the creed of "One Nation under God, with liberty and justice for all."